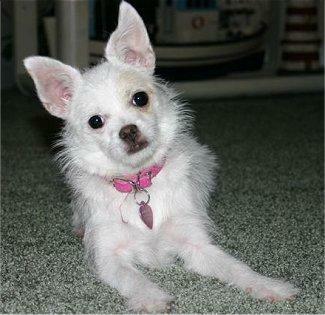 Chi-Poo, a designer dog, has been developed by crossing the Chihuahua and the Miniature or Toy Poodle. 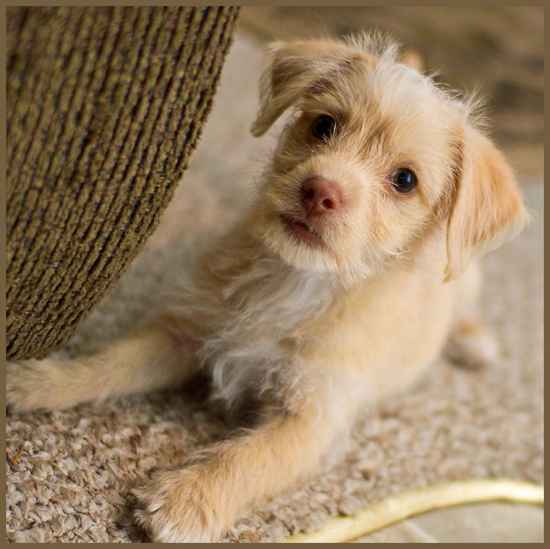 This loving breed is of a small stature with round eyes, floppy or pointed ears and a coat that may either be wavy or curly in appearance. In fact, the shape of its head and body may resemble that of either parent, depending on how much it is genetically inclined towards them. This breed gained recognition by the International Designer Canine Association in 2009. 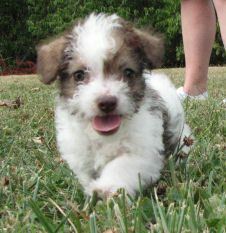 Different breed organizations have recognized it by various names. These energetic dogs love to play also loving to spend time with their owners by sitting on their lap and being cuddled. 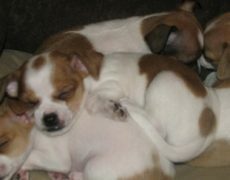 A significant trait that the Chi-Poo may have partially inherited from the Chihuahua is their habit of bonding intimately with a particular person of the house, following him wherever he goes. These amicable dogs are not a good option for children below ten years of age as the latter may harm or rashly handle them. They can thrive well indoors or even in apartments if they have sufficient space to run around freely. 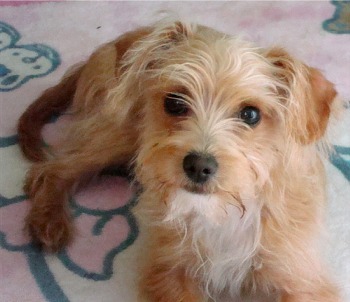 This Chihuahua-Poodle mix gets along well with other dogs and pets when brought up with then since their puppy days. They are however not too comfortable with strangers. These active, playful dogs require a lot of physical activities to be healthy and happy. Taking them out for a walk daily under moderate temperature is a good option. 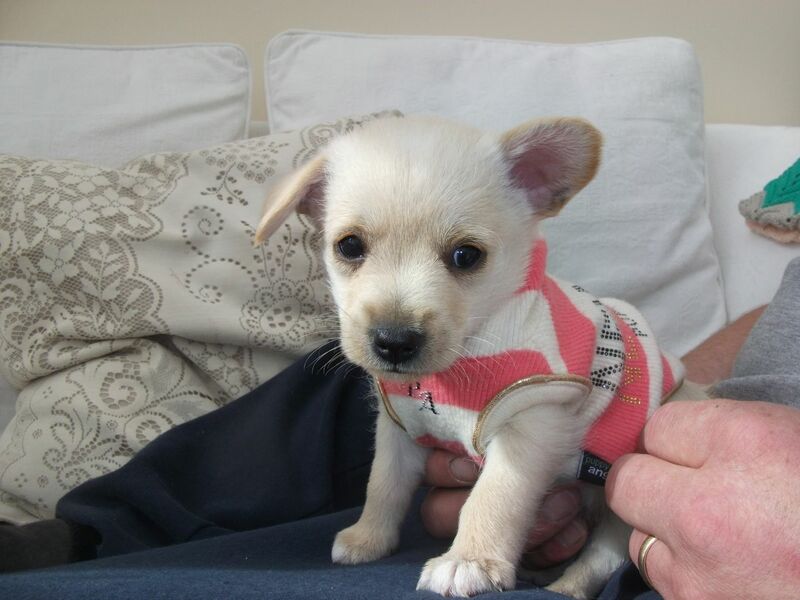 In fact when outdoors if the temperature falls below 50 degrees, it is safe to take a coat or sweater for them. They get bored and destructive when left alone for too long. Therefore, give them adequate mental exercise by introducing a lot of interesting toys to them. Though they shed less, their coats should be groomed at frequent intervals in a week on the basis of the length by using a brush with soft bristles. Bathe them once or twice when needed. It is best to brush your dog before bathing it as this will help in removing loose hairs, also preventing it from getting matted after being wet. 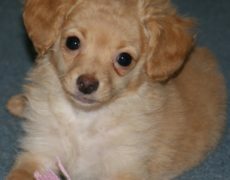 In fact, if your pet Chi-Poo has a coat similar to Poodle then brushing at regular intervals as well as clipping is essential. Make sure to brush their teeth two to three times in a week to prevent any dental infections. Because of their overactive tear glands similar to Poodles, it is required to remove the dried tears by cleaning the region around their eyes using a fine tooth comb devoid of any sharp edges. They may suffer from diseases like luxating patella, tracheal collapse, hydrocephalus (building up of fluid in the cavities of the brain), dilated cardiomyopathy, glaucoma, and chronic valvular heart disease. They also have the problem of dry skin, being incapable of absorbing anything through their skin. Some of them may possess an inverted eyelid that may heal on its own or in the extreme case require surgery. This breed is also prone to hypoglycemia that can turn fatal if not treated properly. 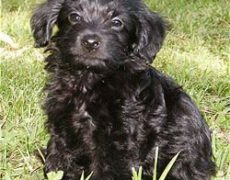 Being intelligent just like the Poodle they will respond well to training when handled by a tactful trainer who will not be harsh on them but handle their stubbornness in a firm and patient way. Loving to amuse their owners with impressive tricks, they will be adept at it when groomed with an efficient hand. The techniques of rewarding and praising will encourage them to respond in a positive way. 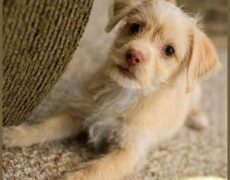 Proper socialization training is also required to be given to the puppies to help them get over certain behavioral problems like barking, showing possessiveness regarding their toys or belongings or getting destructive. Moreover, they should be trained to get over their habit of being attached to a particular individual of the family as his absence may trigger intense separation anxiety in them. They are to be leash trained for their safety. 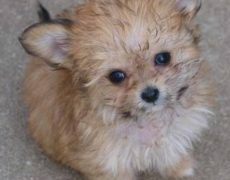 They should be given the diet of small or toy dogs probably wet food as most of them may face difficulties in digesting the contents of the commonly used dog foods. This breed may be picky while eating, thus it can take time to feed them. Give your pet about three fourth to one and a half cup dry dog food. Feeding your chipoo healthy food many times in a day will reduce the risk of hyperglycemia. They act as perfect alarm dogs, warning their family at the very sight of an unfamiliar person or any uncommon sound by barking. I have a 16 year old chi-poo who never liked playing with toys. Never cared for them. All she does now is sleep and follow me around. She’s adorable though. Love my baby! She’s a golden blond. Email me at graciemichelle2014@gmail.com I’m in the Seattle area and some ready by the New Year if all goes as planned from a most loving home. 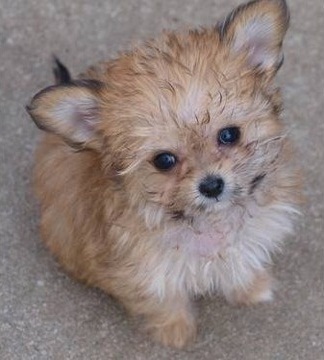 I am looking for one let the breed today and fell in love if anyone knows where we can buy one please let me know. I like the brown ones but open to look at any color. 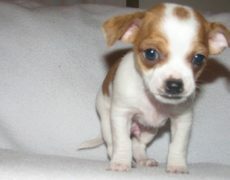 I’m selling one for $200 it’s a boy he is 7 weeks old. If interested please let me know. Are you in the USA or Australia? 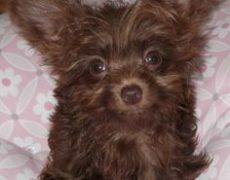 I am in Northern California and am looking for a Chi-Poo female puppy.. 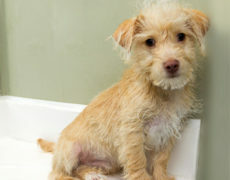 Please let me know where you are and what the parents are like..
I’m also in Northern CA looking for a puppy. Did you find a source. 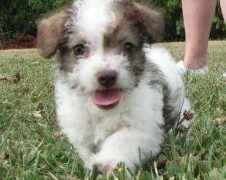 Do you have any Chipoo puppies available still?! 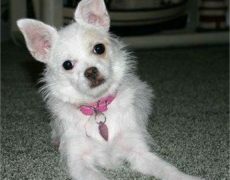 I rescued my Chi-Poo Lolo when he was about 4-5 months old from a pretty bad situation. He’s about to be three and I have learned a lot in the way of feeding him. He does not do well with dry food that has grains in it. He itched constantly. Sometimes he wouldn’t poop for a day or 2. I switched him to grain-free and the problem is gone and so is his noxious gas. I feed him Caesars homestyle (with the noodles/veggies), One to two full containers daily. He is a sturdy healthy weight. 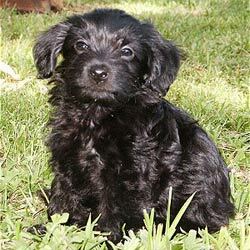 I would suggeest finding a grain-free dry food for small breed puppies and saturating some of it in a bit of sodium free chicken or beef broth to soften it. Only if she is over 8 weeks. 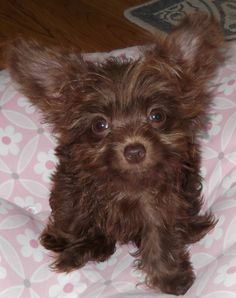 I am looking for a Chi-poo. Our family had one for seventeen years. 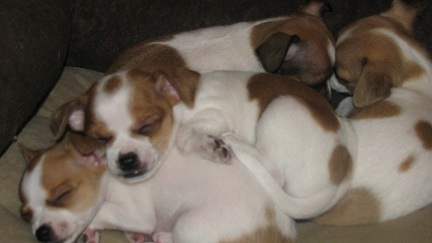 We would like to have another Chi-poo to help mend our broken hearts. My Dog had 7 Chi Poo’s on yesterday. Of course we have to keep them all for 6 weeks, but if you are still interested in purchasing after that, then you are more than welcome! 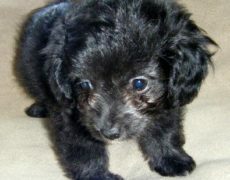 I have a Poochi – female black and gray – she will be two in April. 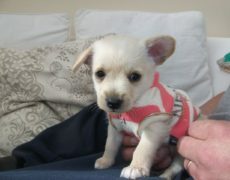 Any for sale, female or male ok. I am interested in one these little family members. I am interested in and can you please email me more details incduing picture, price and your location. Many thanks. HI, I would love to see pictures of your males if you still have any. I also live in Oakland. 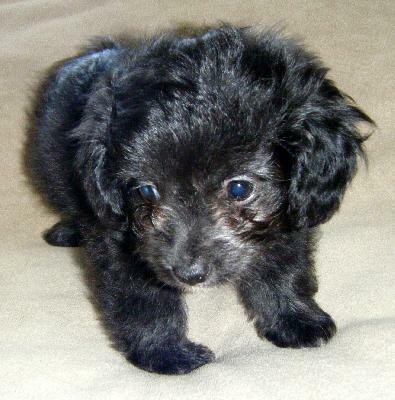 I am looking for a female… any color but black… do you have any litters coming up. 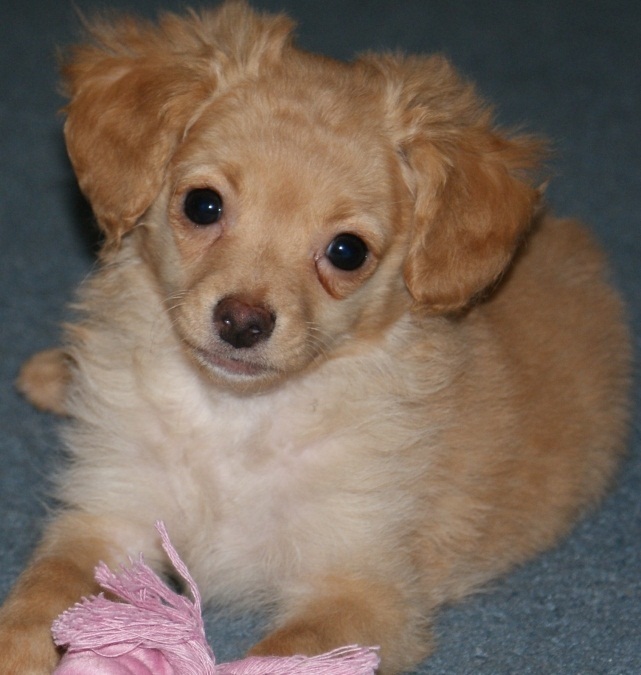 I am interested in a Chipoo puppy, small, blonde, ears down, with short hair. 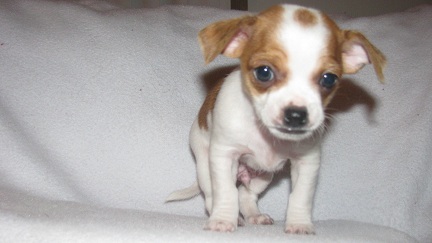 I live in Calif. but am willing to travel or have the puppy sent to me. 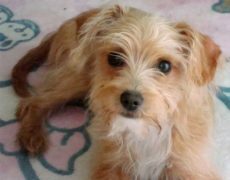 I am 64 and have other older small dogs, we just lost our baby and need to add to our family. I live in Oakland. 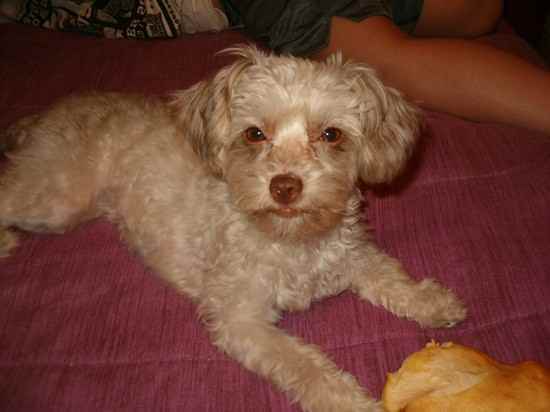 Do you still have puppy Chippo . I have a white, 7 week old puppy for sale I live in LA county if interested please email me vanessacalderon323@gmail.com.